The Pilates Room, NYC is a fully equipped Pilates studio in the heart of Chelsea, NYC. Itʼs conveniently located on 150 West 28th Street between 6th and 7th avenues and is accessible by both the 1 and N/R trains. The Pilates Room, NYC is in a 24 hour doorman building allowing for convenient access. We are also an incredibly convenient location for those that commute from New Jersey and Long Island. We have a bright, airy and tranquil atmosphere that makes it easy to focus on quality time with your client. 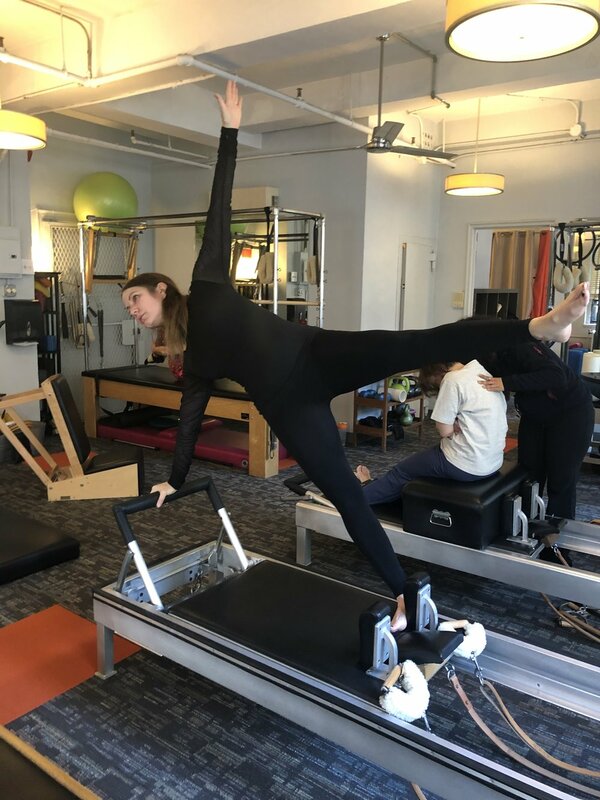 The Pilates Room, NYC welcomes instructors from all backgrounds as we feel there is plenty of knowledge and ideas to be shared and learned. The Pilates Room, NYC is equipped with two Peak reformers, two Gratz reformers, one Gratz and one Peak wunda chair, one Peak High Chair, one Gratz baby arm chair, one Gratz Ped-o-Pull, three Gratz wall units/towers, one Peak and one Gratz cadillac, one Gratz ladder barrel, two spine correctors, an assortment of small barrels, pillows, balls, springs, foam rollers, weights and all other accessories needed to give a complete Pilates session. All teachers are required to have individual liability insurance.